Kentucky Paving Contractors Insurance. Paving contractors clear and level job sites, lay wooden forms, and pave driveways, parking lots, roads or highways, streets, and tennis or other athletic courts. For some projects, mesh or reinforcement bars (rebar) will be used to strengthen the finished pavement. Paving is the process of laying down the uppermost surface ("wearing surface") which must withstand the wear-and-tear from tire friction and from the elements. The surface may be made of asphalt or concrete. Whether you are a local KY paving contractor that lays and seals asphalt driveways and walkways or you operate a large organization that is contracted to pave roadways, being properly insured is crucial for the success of your business. As with any business, there are certain risks associated with owning a paving operation, and having the right Kentucky paving contractors insurance is the key to protecting your livelihood. Kentucky paving contractors insurance protects your business from lawsuits with rates as low as $67/mo. Get a fast quote and your certificate of insurance now. 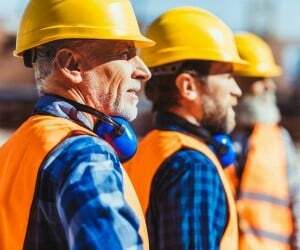 If your properly insured, your insurance provider will help to cover the cost of any expenses that are related to accidents, injuries, damages, and legal fees; in other words, Kentucky paving contractors insurance can safeguard your business from financial ruin. These are just some of the different Kentucky paving contractors insurance policies that contractors should carry; other recommended coverage options include workers' compensation insurance, commercial auto insurance, and commercial property insurance. To find out exactly what type of policies you should invest in and how much coverage you should carry, it's important to speak to a reputable agent that is has ample experience with Kentucky paving contractors insurance to make sure that your business is properly protected. 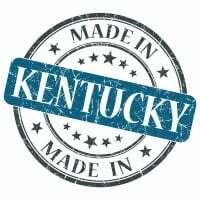 Request a free Kentucky Paving Contractors insurance quote in Alexandria, Ashland, Barbourville, Bardstown, Beaver Dam, Bellevue, Benton, Berea, Bowling Green, Brandenburg, Cadiz, Calvert, Campbellsville, Carrollton, Central, Cold Spring, Columbia, Corbin, Covington, Crescent Springs, Crestview Hills, Crestwood, Crittenden, Cynthiana, Danville, Dawson Springs, Dayton, Douglass Hills, Eddyville, Edgewood, Elizabethtown, Elsmere, Eminence, Erlanger, Flatwoods, Flemingsburg, Florence, Fort Mitchell, Fort Thomas, Fort Wright, Frankfort, Franklin, Georgetown, Glasgow, Graymoor-Devondale, Grayson, Greenville, Harrodsburg, Hartford, Hazard, Henderson, Highland Heights, Hillview, Hodgenville, Hopkinsville, Hurstbourne, Independence, Indian Hills, Irvine, Jeffersontown, La Grange, Lakeside Park, Lancaster, Lawrenceburg, Lebanon, Leitchfield, Lexington-Fayette, London, Louisville, Ludlow, Lyndon, Madisonville, Marion, Mayfield, Maysville, Middlesborough, Middletown, Monticello, Morehead, Morganfield, Mount Sterling, Mount Washington, Murray, Newport, Nicholasville, Oak Grove, Owensboro, Paducah, Paintsville, Paris, Park Hills, Pikeville, Prestonsburg, Princeton, Prospect, Providence, Radcliff, Richmond, Russell, Russellville, Scottsville, Shelbyville, Shepherdsville, Shively, Simpsonville, Somerset, Southgate, Springfield, St. Matthews, Stanford, Stanton, Taylor Mill, Union, Versailles, Villa Hills, Vine Grove, Walton, West Liberty, Wilder, Williamsburg, Williamstown, Wilmore, Winchester and all other cities in KY - The Bluegrass State.